The first edition of Teacher Spotlight recognizes the man behind the curtain, Mr. Hickey. As the first students to take Journalism as an elective, we wanted to interview the boss who orchestrates the ins and outs of the student-created newspaper, The General Consensus. Tall and opinionated, Mr. Hickey leads a group of knowledgeable students by helping their ideas about the newspaper come to life. Students are curious about the paper and its potential impact on the school and community. As members of the Journalism elective, we decided to ask Mr. Hickey a plethora of questions revolving around the newspaper, including his journalism background and what inspired him to start this class. When asked about his past experience in journalism, Mr. Hickey had this to say: “I had written in my high school paper a little, but our high school newspaper was not that big. It was a one page spread in the town paper.” Due to the lack of helpful news that Mr. Hickey got in high school, he understands the need for it in school’s today. Even though Mr. Hickey didn’t major in journalism, he still has what it takes to run a paper because of his love of writing in general; since he loves writing for different purposes. Mr. Hickey is glad that this class allows students to write about a wide range of topics in order to reach out to different audiences. As the newspaper remains one of the electives open to all students, kids from all grades have been drawn to the student-run, interactive class. When asked, why journalism an important elective for the school to offer, Me. Hicky’s reply connected to the worldwide link that students create by reporting on local and distant issues. He shared his thoughts by stating “I feel like it is so critical, just nationally to have good reporting and to have a good source of information, and be able to read something and know it’s objective.” Mr. Hickey’s students wanted to give Hamilton-Wenham Regional High School a voice in the community; more specifically, he wanted to give the students an opportunity to become involved issues that mattered to them. Mr. Hickey’s goals for The General Consensus newspaper remain clear. He wants it to be more than a school newspaper. He sees his students as being able to provide stories and insight on topics that no other newspaper could give. For example interesting features about life in HWRHS. When wrapping up the interview, we asked him whether there were specific topics he would like to see in the paper. His response was simple: “Students need a place to get information about Hamilton Wenham.” By creating a source of information for students to be able to learn about upcoming events within the school community, students will be exposed to topics such as sports, theatre, arts, clubs, or special events for charity. 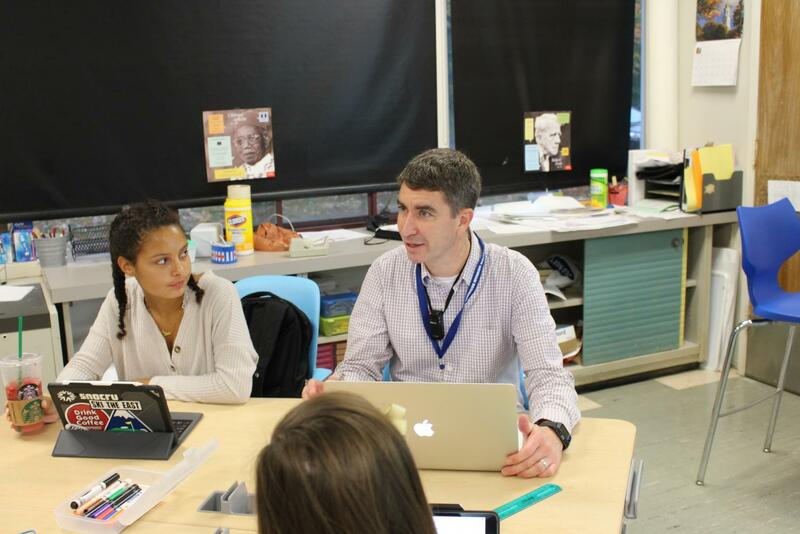 Mr. Hickey remains the leader in creating the paper’s success, as the students within the class help share important news out into the community.